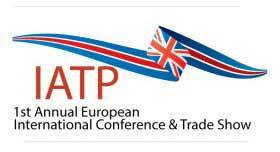 Continental is delighted to be a Platinum Sponsor of the International Association of Trampoline Park's first annual European Conference and Trade Show.The International Association of Trampoline Parks Conference and Trade Show provides a forum for the exchange of information and opportunities to network with others in the trampoline park industry. It is the only event of its kind for trampoline parks around the world. Continental is delighted to be a Platinum Sponsor of the International Association of Trampoline Park's first annual European Conference and Trade Show. Continental has now installed or is underway with manufacturing 30 trampoline parks in the UK and has recently commenced its International expansion - with a parks in Luxembourg and Spain, to be shortly followed by parks in other countries in our pipeline. If you are planning a trampoline park within Europe then please come and speak to the Continental design and sales team who will be on our stand at this IATP event. Continental Sports is represented by our Managing Director, Nick Booth, on the UK sub-committee of the IATP and the BSi steering committee for the creation of the new PAS 5000 design, construction and operating standard for trampoline parks. Nick will be at this event with members of Continental's team to answer questions on PAS 5000 and to explain how you can be confident we only develop and install safe, fully compliant trampoline parks.